VitrA is looking to take further market share by boosting individual product sectors and introducing Signature for retailers, as Philippa Turrell reports. Despite the bathroom market reported as being flat, VitrA is continuing to grow by taking market share. “We have had double digit growth for the last five years. This year our target has been 6% growth and we’ve had our best first quarter ever”, reports national sales manager of VitrA UK Darren Paxford. He explains the company has not only had growth through its project business, such as hotels, stating “We are the number one supplier to the largest pod producer in the UK” but also in retail through its distribution partners. 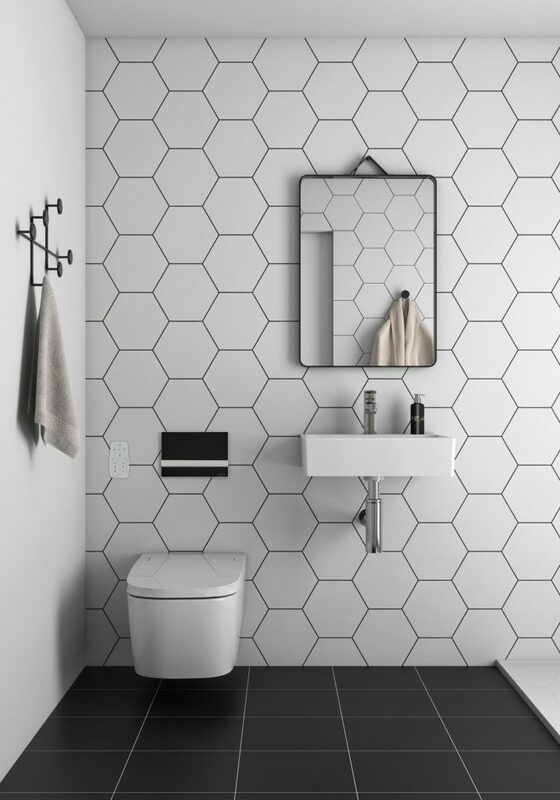 Renowned for its sanitaryware, VitrA is now planning to expand sales across its portfolio of products, such as frames, brassware and baths. Darren Paxford continues: “We manufacture ceramics, baths, accessories, brassware, tiles and have everything you need for a bathroom. “I think in this day and age, there are not many people who do that and do that well. That is what we are striving to do. Already the largest market for VitrA outside its native Turkey, this focus is expected to see UK sales grow from £24million to £30m over the next five years. 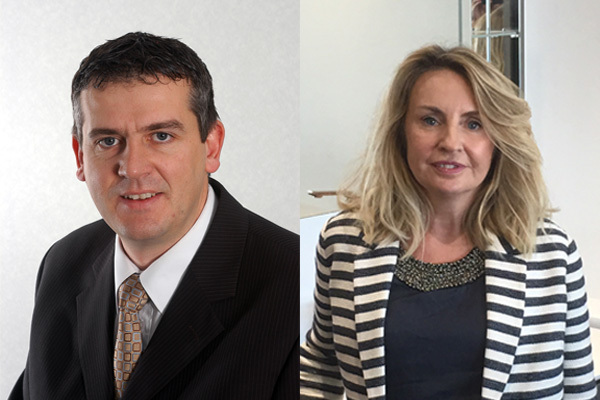 Paxford aims to follow the blueprint of the company’s furniture sales, across product sectors as he comments: “We are selling 10 times the amount of furniture we were five years’ ago. Paxford says the acquisition of Bughbad, which took ownership of VitrA’s furniture factory was the reason behind the acceleration of furniture sales, as it enhanced the quality of its cabinetry. This focus on quality has also seen the company recently promote its frames, following WRAS approval. 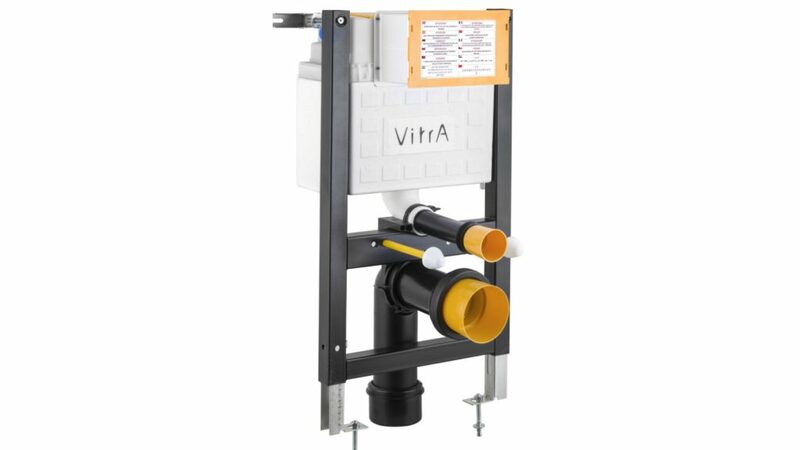 Using the strapline ‘fit and forget’, to give confidence that once a frame is installed it can be forgotten about, VitrA has targeted installers and retailers. 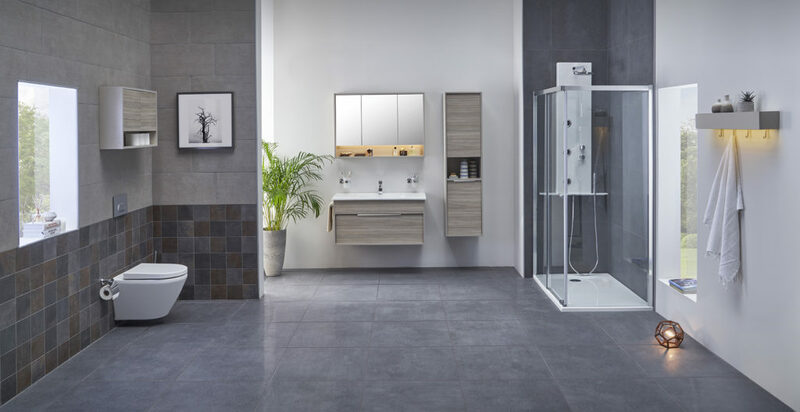 The long term plan is to become the fourth biggest player in the market for wall-hung frames, as Paxford states: “Geberit is the market leader – you then have Grohe and Thomas Dudley – those are the three that have double digit market share in the UK. We would like to be the best of the rest. And VitrA plans to boost its product categories, doesn’t stop at furniture and frames. The company also plans to grow its brassware sales, with 80% of its taps now having WRAS approval and having plugged areas where they once missing items such as thermostatic showering. He further hints at the company focusing on bathtub and shower trays down the line, when he says: “Turkey is selling those things at the moment but buying them in from a third party. And this philosophy of encouraging the trade to single source bathroom products is more evident with the introduction of the Signature Collection for retailers. VitrA currently offers the Designer Collection, through around 180 dealers which requires a minimum of five settings to access the products. It also provides the mass-distributed Bathroom Collection, which requires no display commitment and is sold through distributors. Now, it has introduced Signature which sits in between the two collections. Darren Paxford continues: “With the new signature collection we are launching, we are after retailers to start putting those products on display again. 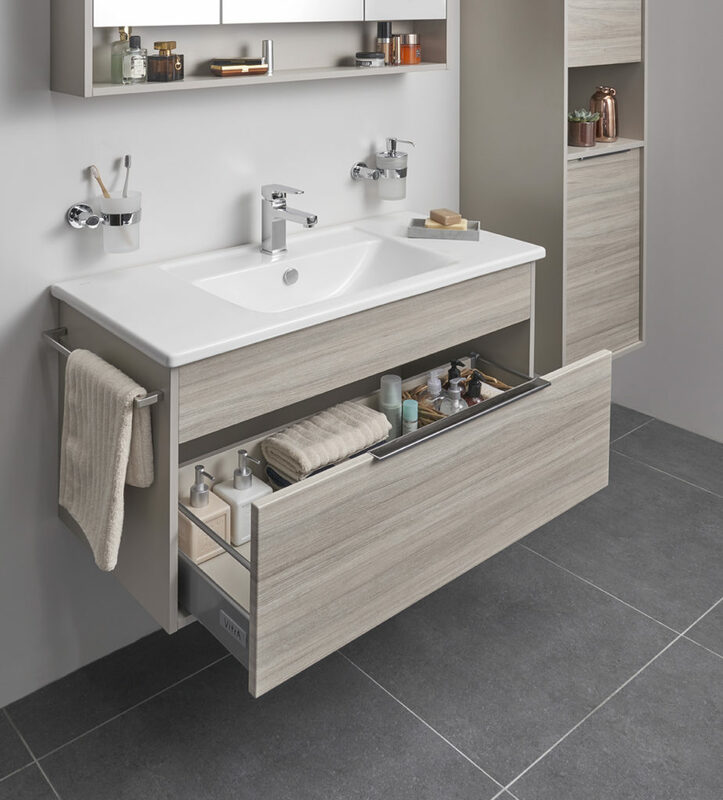 Although Paxford explains the Signature Collection is a compact range, it still offers 80-100 SKus offering a variety within the ranges, such as a choice of basins, WCs and furniture finishes. 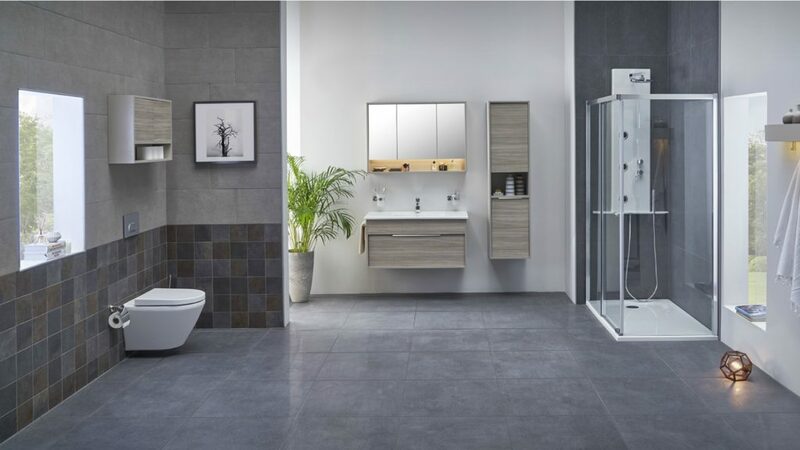 At the heart of the range is Integra and this is joined by the revamped Shift, a mineral cast basin Encora Infinit for use with VitrA furniture, as well as the V-Care shower toilet. Paxford explains why Integra is a hero of the Signature Collection: “We know the Integra range is going to be the next big selling piece for VitrA. And by putting ensuring retailers put it on display in their showroom, it again supports VitrA’s one-stop philosophy. And the company is seeking 200 dealers for the Signature Collection over the next five months. The Signature Collection has also been devised to help future proof the company, particularly in the uncertain financial times ahead. With a safe design to claim retail showroom space, a multitude of options to help secure a wider option of sales and a one-stop shop philosophy, Signature is a long-term focus for VitrA.